As every woman knows, fall season starts with the search for the ideal coat. From year to year by the time leaves start falling from the trees, we begin with our search for the perfect cover-up, which is followed with the unchanging dilemmas: should you buy the trendy of classical style, opt for the bold hues or subdued palette, go for patterns or stick to the plain? Fortunately, the fashion photographers in the main fashion capitals throughout the world provide us with the photos of the stylish looks in order to inspire us when it comes to the coat purchasing. Anna Ohlsso, marketing department employee, wore coat and trousers by H&M along with the Acne shirt and boots. She accessorized the look with Missoni bag and Dior eyewear. Ginta Lapina, model, opted for the vintage beige coat and Rick Owens pants complemented with YSL bag. Frances Davison, fashion blogger, went for the Monki jacket and hat along with the vintage shirt and handbag. Leila Yavari teamted the Akris jacket, Emilio Pucci trousers, accessorized with the Gucci heel-strap sandals, Celine sunglasses and YSl jewelry. Emily Weiss wore the jacket from Jason Wu, t-shirt from Alexander Wang. She complemented the look with Ray-Ban eyewear. Anna Sophie Berger, artist, paired the vintage garments with the contemporary ones by wearing her father’s hat with Adeline Andre coat. 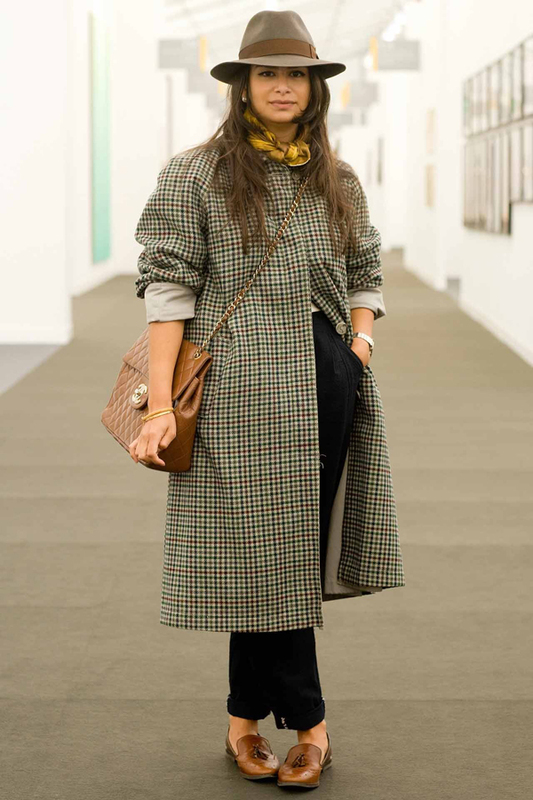 Zain Masud, associate director, also opted for the vintage coat, which she paired with B-Store trousers, Jonah shoes, Borsalino hat and Chanel bag. Jamie Bochert, model, went for the total look from Ann Demeulemeester. Juliet Oldfield, actress, combined the vintage jumper with ASOS shirt, H&M skirt and Monsoon coat, which she accessorized with the Ray-Ban sunglasses and Accessorize jewelry. Carol Song, buyer, paired the Opening Ceremony jacket and dress complemented with the Factory clutch.